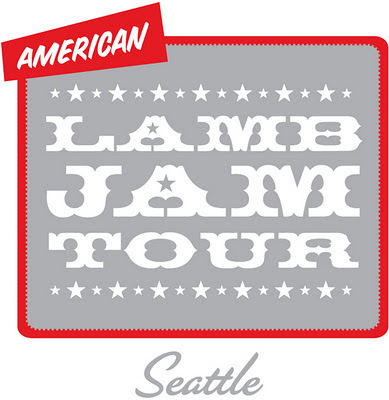 The third annual American Lamb Jam produced by the American Lamb Board is coming to Seattle on Sunday, October 23, 2011 at Bell Harbor International Conference Center. This ultimate taste-off will feature twenty top Seattle chefs and their creative preparations of lusty lamb dishes accompanied by award-winning Washington State wines. Media judging will include awards for Best of Show, 1st Place Awards for Shoulder, Leg of Lamb, Shank and Loin tastes. Guests vote and determine the People's Choice winner. People's Choice Award for 2009 and 2010 went to Bobby Moore from The Barking Frog in Woodinville.